Instant Pot Beef Recipes You'll Love! Instant Pot Beef Recipes You’ll Love! 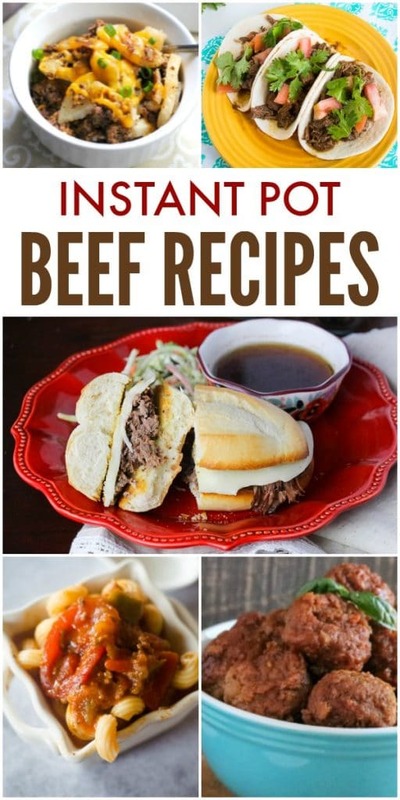 Instant Pot Beef Recipes are fantastic to keep on hand because Instant Pots do amazing things with inexpensive cuts of beef! If you haven’t figured out why Instant Pots are awesome yet, you probably haven’t seen what it can do for a chuck roast. Another benefit of cooking in your Instant Pot is that all that pressure forces the flavors into your food. That means those spices, herbs, and flavorful ingredients you add to the pot infuse deep within the beef during the pressure cooking process. I’ll admit, I actually create a lot more Instant Pot chicken recipes because I like how versatile chicken is. However, my husband protests if we go too long without red meat and since I love him, I make a lot of Instant Pot beef recipes too. To make it easier to find the type of recipe you’re looking for, I’ve organized my recipes into the categories based on the cut of meat. As I already mentioned, one of the great things about cooking beef in a pressure cooker is that you can get moist, tender meat out of inexpensive cuts like chuck roast. But you’re not limited to pot roast! Here are some of my favorite Instant Pot beef recipes using roasts as the main ingredient. Instant Pot Beef Barbacoa: Perfect for tacos when you want to outdo Taco Bell. Instant Pot Carne Guisada: This Mexican pot roast makes a wonderful filling for tacos but tastes just as good right out of the bowl! Instant Pot French Dip Sandwiches: The kids have way too much fun dipping their sandwiches in the au jus. I just love how easy they are to make. Instant Pot Philly Cheesesteak Sandwiches: These are my favorite sandwiches and are a complete meal all by themselves. 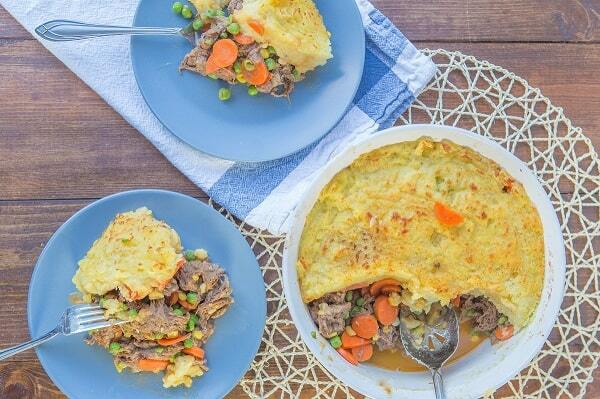 Instant Pot Shepherd’s Pie: I know this is normally made with ground beef but using a roast instead makes this version so much better! Another thing I love about Instant Pot cooking is that you can make true one-pot meals. Thanks to the saute function, you can brown the beef right in the inner liner, then add your other ingredients. Plus, thanks to pressure cooking, everything you add to the pot to cook with the ground beef, infuses the meat with flavor. Likewise, the satisfying taste of the beef permeates any vegetables or starches you cook with it. Instant Pot Cheesy Hamburger Potato Casserole: One of my kids’ favorite dinners and better for them than Hamburger Helper. Instant Pot Italian Goulash: Pasta, ground beef, and a delicious sauce. Simple, delicious, and family-friendly. Instant Pot Meatball Sandwiches: Easy, kid-approved, and also great for game days! Instant Pot Orange Glazed BBQ Meatballs: Such an easy appetizer — sweet and tangy. Instant Pot Pizza Casserole: There’s pepperoni in this one too but I add ground beef to boost the protein. Instant Pot Spaghetti and Meatballs: This version uses frozen meatballs to save time and effort, but you can easily swap in homemade meatballs. Instant Pot Stuffed Peppers: Four different variations on a simple recipe — traditional, Italian, Mexican, and Cajun. Instant Pot Sweet Potato Chili: The delicious flavor of the sweet potatoes adds a new depth to an already great chili. 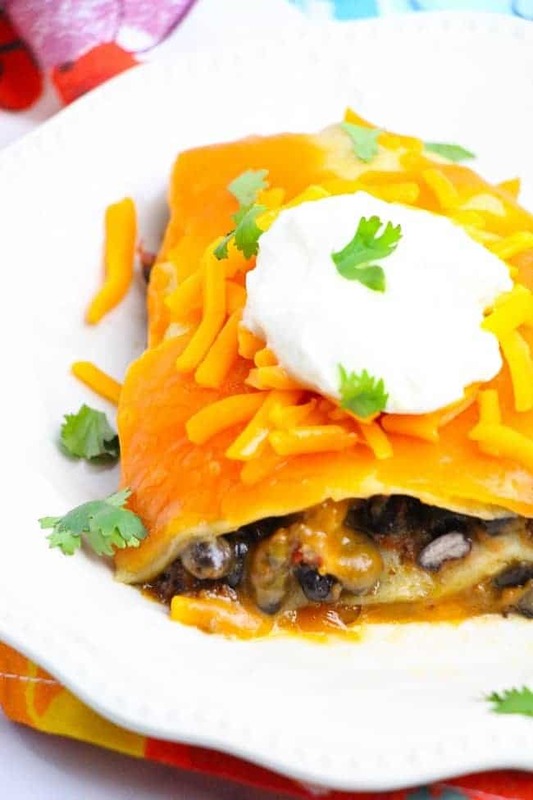 Instant Pot Taco Lasagna: A marriage of two of my family’s favorite foods — tacos and lasagna. Taco ingredients layered like a lasagna. Instant Pot Taco Soup: When you’re craving tacos but the weather’s cold so you want something hot and satisfying, this is the perfect meal! Instant Pot Beef Bourguignon: A delicious classic that sounds fancy but is incredibly simple. Instant Pot Italian Beef Stew: Hearty, colorful, and flavorful. Plus, super easy to make! This is the perfect meal for cold weather evenings. Instant Pot Korean Short Ribs: Sweet, sticky and oh so yummy! This recipe is a family favorite. Instant Pot Sous Vide Steak Fajitas: The only recipe on this page that is NOT pressure cooked. If you haven’t tried sous vide yet, this recipe walks you through all the reasons you’ll want to. Since my goal is to help you find great recipes for your family, I don’t want to limit your choices to the few recipes I’ve created. Here are some of my favorite Instant Pot beef recipes from other sites.